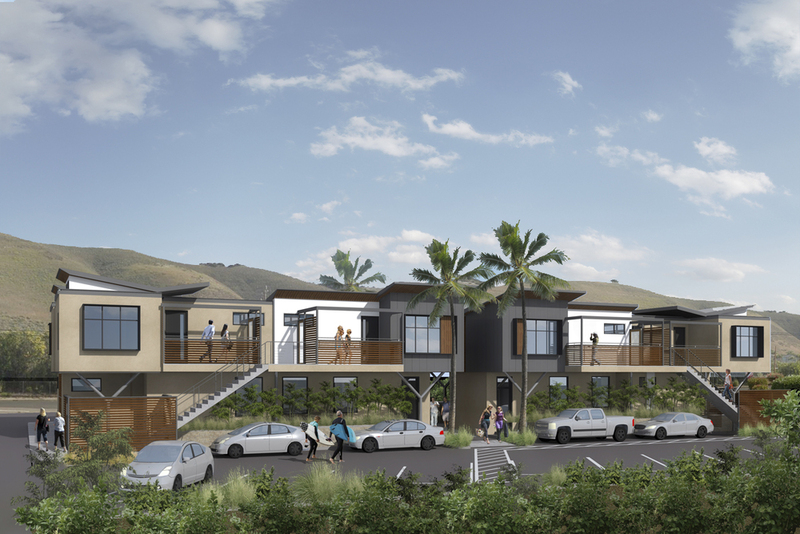 Shell Beach Mixed Use — Isaman design, Inc.
With 2 commercial/retail spaces, 2 vacation rentals and 4 residential units, this mixed use project is aimed at becoming a new local hot spot for the Shell Beach area. 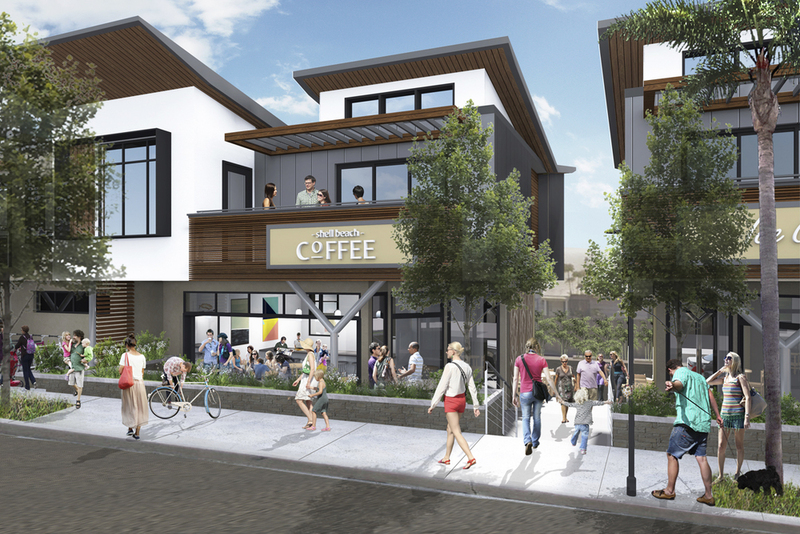 Located at the current site of the Cape Cod Hotel, the Shell Beach Mixed Use is comprised of two buildings separated by a community “Paseo” perfect for outdoor seating and community gathering. 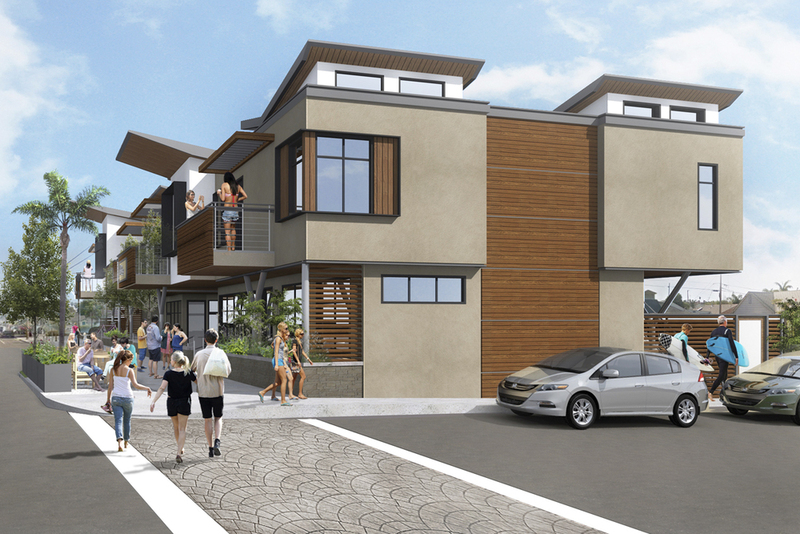 In order to promote public interaction, the mixed use parking is situated behind the building, opening the project up to the new pedestrian friendly streetscape on Shell Beach Road. The two bedroom two bathroom condos located on the second floor, have large open floor plans with decks facing the North and the ocean views to the South-West. Warm materials like the sandy stucco, stone walls, IPE hardwood siding/eaves and large amounts of glazing give this contemporary project a distinctive “California Living” vibe.